Round two of the toasties. Pre-heat the oven to 180ºC. Put 2 teaspoons of olive oil, the butternut squash and sage into a roasting tray and season well. Roast the butternut squash for about 45 minutes, until soft and slightly caramelised around the edges. Remove from the oven and crush the squash using a potato masher or back of a fork. Heat the remaining teaspoon of olive oil in a frying pan over a medium heat. Add the bacon and cook for 5-6 minutes. Transfer the bacon to a plate and clean the frying pan. Toast the pine nuts in the clean dry frying pan over a medium heat for about 2 minutes. Take the pan off the heat just as the nuts begin to turn colour. 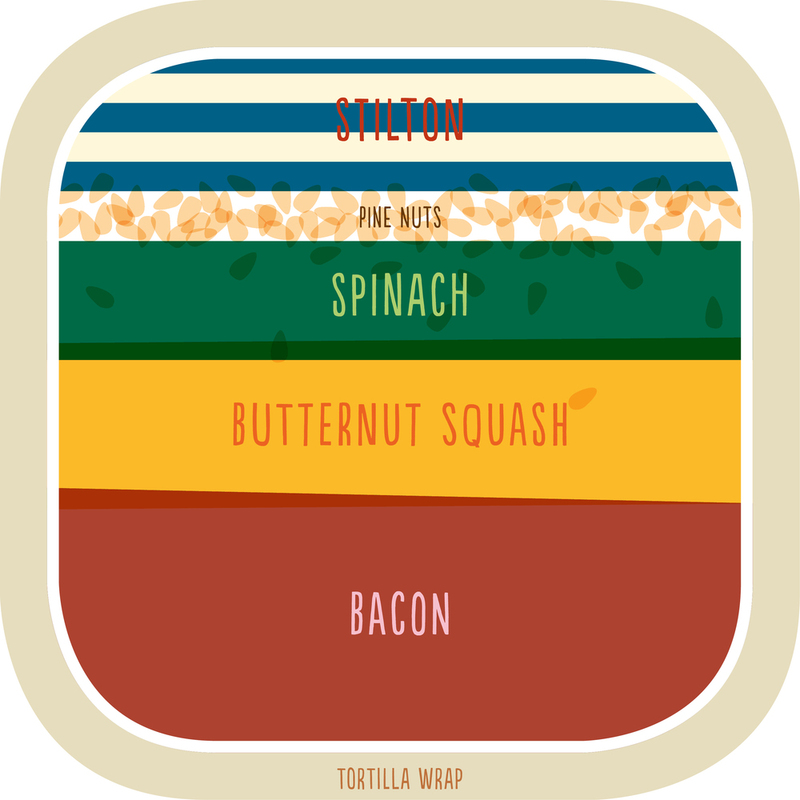 Lay the tortilla wraps out flat and arrange the ingredients in a line down the centre. Fold the top and bottom edges in first, then fold over the left edge and roll over to fully wrap them up. Heat up your sandwich toaster and pop the wraps in for 3-4 minutes, until the outside is slightly crisp. Take the wraps out of the toaster, slice them in half and serve.